While bedrooms used to be a place where we slept and relaxed, the modern bedroom has taken on many extra roles that can make it challenging to properly light. 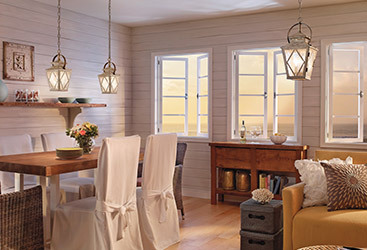 At Charleston Lighting, we’re dedicated to helping you figure out the best ways to brighten up every room in your house. In this blog, we will go over some of the best ways to light your bedroom in a way that will make it as useful and comfortable as possible. 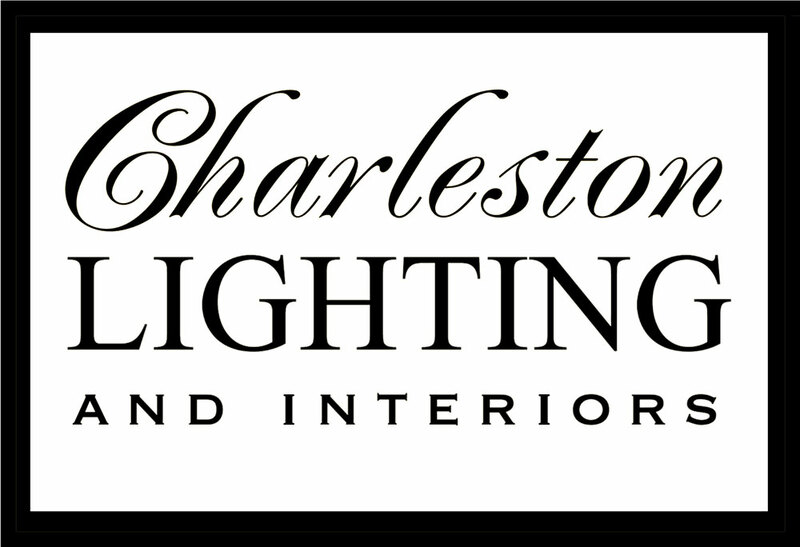 Stop by our showroom in Charleston now to talk to our lighting experts about all of the ways that we can improve your home! When you’re lighting a room, you generally need a combination of three types of interior lights: ambient (general) lighting, task lights, and accent lighting. By balancing these kinds of light, the room will be functional and comfortable in the most number of circumstances. 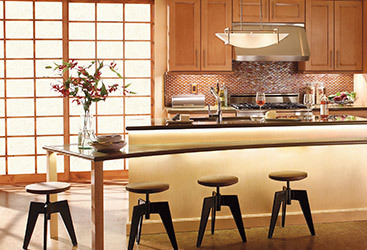 Ambient lighting is the main source of light in a room. In the bedroom, you’ll often find a central fixture (a chandelier or ceiling fan with lights) that puts off enough light to make the room easy to move around and accomplish most general tasks. Task lights are lights that help you perform specific tasks that are more difficult to do with general lighting. Bedroom task lighting can take many forms, including bedside table lights for reading or lamps that illuminate a desk. 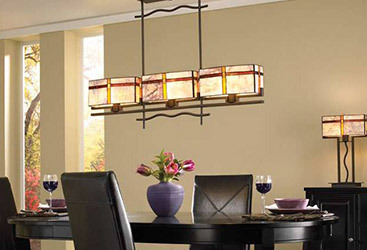 If you have a lot of framed artwork or photographs on the wall, accent lighting will help make them stand out. While general lighting can sometimes create a glare on framed pictures, accent lighting is set up to eliminate glare and to make the entire presentation look even better. If you have an office in your bedroom, you’ll want it to be an effective space that allows you to get your work done, but you’ll also want it to be lit in a way that allows you to put it out of your mind when you’re done with your work. Using task lighting like lamps or sconces that are wired to a separate switch will allow you to keep the relaxing part of your bedroom out of your mind while you try to work, and the work part of your bedroom out of your head while you’re trying to rest. Dimmers are your friends in the bedroom. 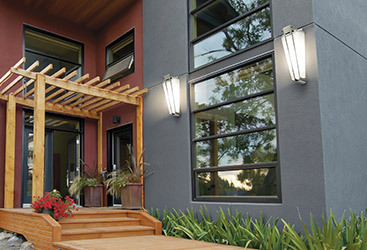 Dimmers allow you to adjust the light to the perfect level to fit your mood. If you’re folding laundry, you’ll want the lights brighter, but if you’re trying to set the mood for relaxation or romance, turning the lights down will help create the right ambiance. Let the sun help you out! If you like a lot of light in your bedroom during the day, keep your blinds or shades open. Sometimes the best light is natural light! Remember to close your blinds at night, as you’ll sleep better in a darker room. Don’t forget about your closet. While you might not spend a lot of time in your closet, having the right lighting in there can do you a lot of favors. Having good light in your closet allows you to get a better idea of what your clothes look like before you leave the house and it can also help you keep the space clean and organized. 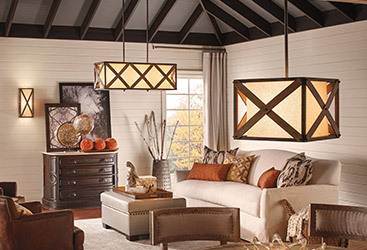 Your lighting fixtures can be part of your decor. The days where you only had a few choices when it came to fixtures is long gone. 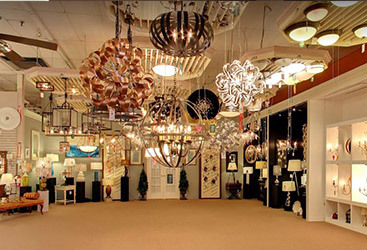 Now, your lights can play as much or as little a part of the overall design of your room as every other item in it. Quirky, fun fixtures are a great way to focus attention or if you’d prefer that your furniture and artwork be the important elements in your bedroom, choose subdued lighting options. As you can see, there are more ways to light a bedroom that you probably thought possible, and we only covered a very small number of options! 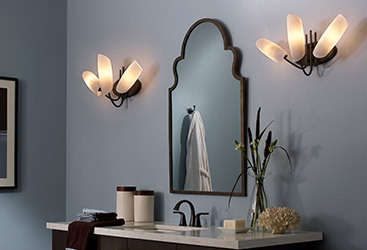 If you need help finding the perfect fixtures to fit your bedroom, come by our showroom. We would love to show you what we can do!